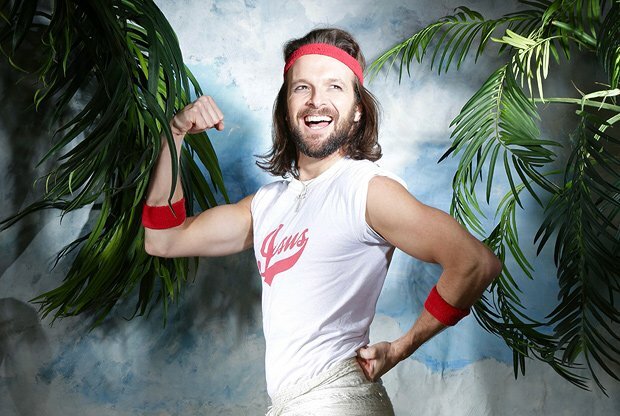 Jesus L'Oreal Christ returns to the fringe for his second testament to biceps and bible studies. Appearing in a halo of light, he floats onto the stage and welcomes us to Jehovah's Fitness. An hour of high-energy silliness follows. Accompanied by his silent companion Mary Magdalene, Jesus tells us his life story and what led him to his true passion: fitness. The pair perform a number of impressive dance routines, with just the sort of moves you'd expect from someone who combines a glittery loincloth with leg warmers. The singing itself is a little disappointing, but this is more of a comedy act than a musical cabaret. However, the lyrics more than make up for the vocals. Biblical puns abound, delivered with impressive frequency. Some references fall on deaf ears, requiring more familiarity with the holy book than possessed by the average audience member. Still, no one can fail to notice and appreciate the political gags: we're warned not to trust Tresemmé, a product which fails to keep its promise of strong and stable hair. The King of the Shoes is no musical miracle, but he deserves his loyal followers. The Voodoo Rooms, until 27 Aug, 9.10pm, £10.